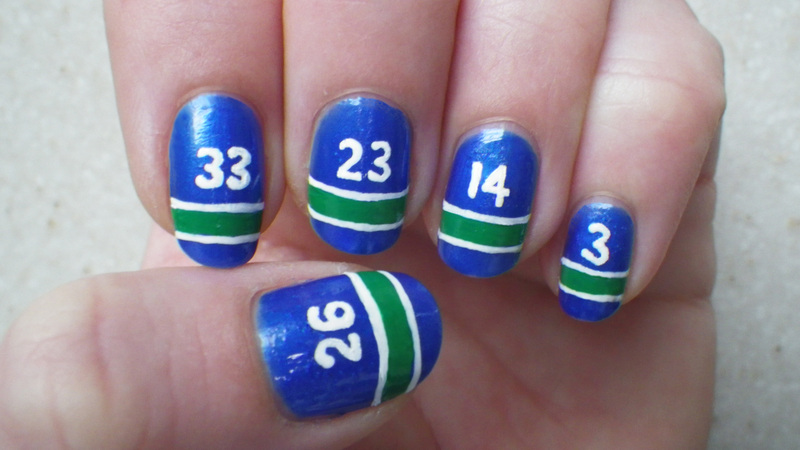 My Hockey team is Vancouver Canucks, and I love them. Went to the game last night and we won !!!. 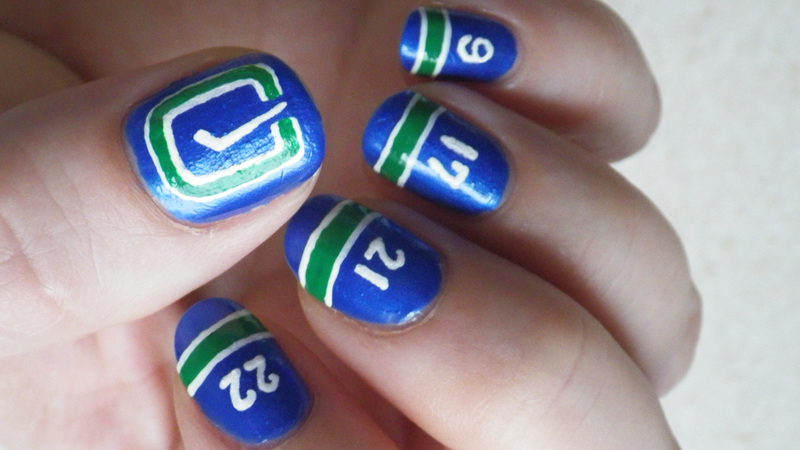 And I believe that because I did my nails for the game that’s why we won. ya, not just talent alone. I had to support the new guys we got for our mid-season trade so I painted their new numbers on. I have my favorite players on as well. 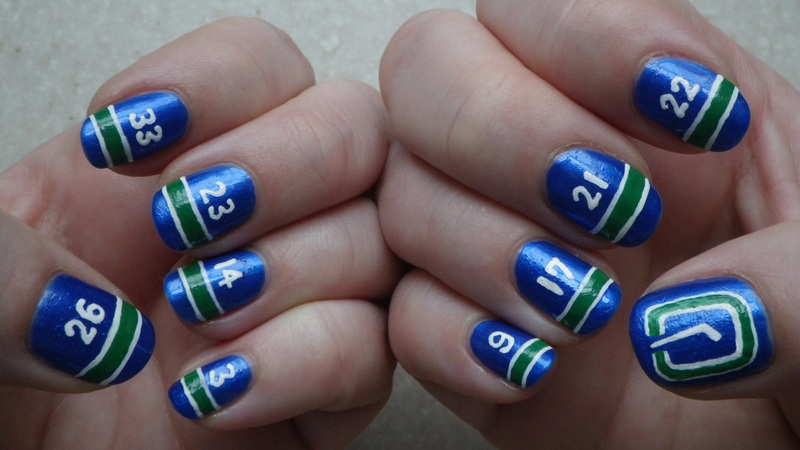 I didn’t put the names of the players on the jersey’s as I found painting the numbers was hard enough for that non-dominate hand I can never get that perfect. I am very happy how they turned out and this design is easy to do for any spot teams any players any kind of jersey. All you need is your sport color and for me finding that perfect one took me a long time trying. It had to be the exact color.